WASHINGTON (AP) — Sen. Robert Menendez's office said Wednesday night that he reimbursed a prominent Florida political donor $58,500 for the full cost of two of three trips Menendez took on the donor's plane to the Dominican Republic in 2010. The FBI searched the West Palm Beach, Fla., office of the donor — eye doctor Salomon Melgen — on Tuesday night and early Wednesday, but it was unclear if the raid was related to Menendez, a New Jersey Democrat. 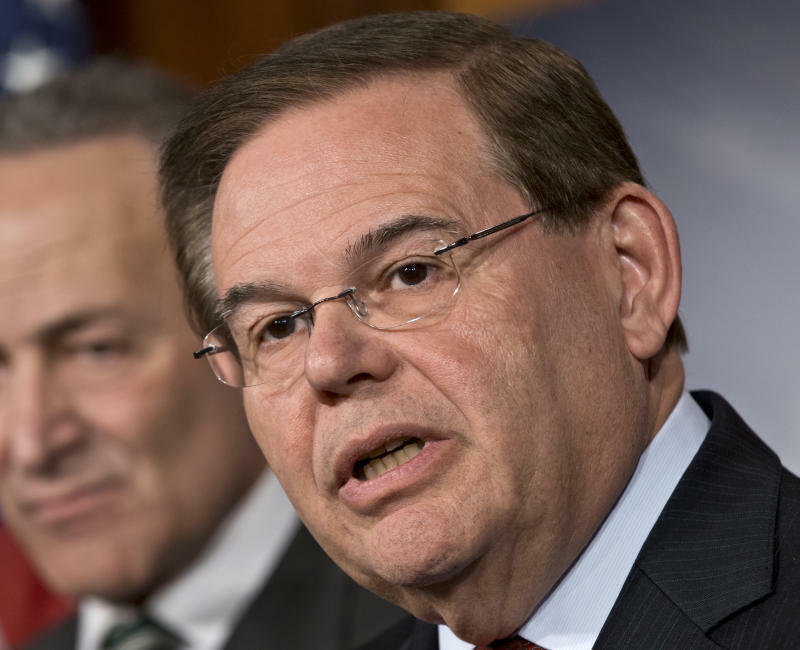 A third trip by Menendez aboard Melgen's plane — a campaign fund-raising journey to the donor's residence in the Dominican Republic — took place in May 2010. That trip was reported to the Federal Election Commission, said Enright. Melgen, 58, is a native of the Dominican Republic, where he earned his medical degree from the Universidad Nacional Pedro Henríquez Ureña in 1978. He has lived in the U.S. since at least 1980, holding an internship, residency and fellowship at hospitals in Connecticut, Missouri and Massachusetts, according to records filed with the Florida Department of Health. On the website for his medical practice, Melgen writes: "I am always asked what sets me apart from most other doctors, and I would have to say that I do not consider myself to be a 'cookbook' physician. My patients are my number one priority, and when I am looking to treat a diagnosis I try to look at all the data at hand and extrapolate the best treatment instead of solely adhering to what the current 'standard' of treatment may be."